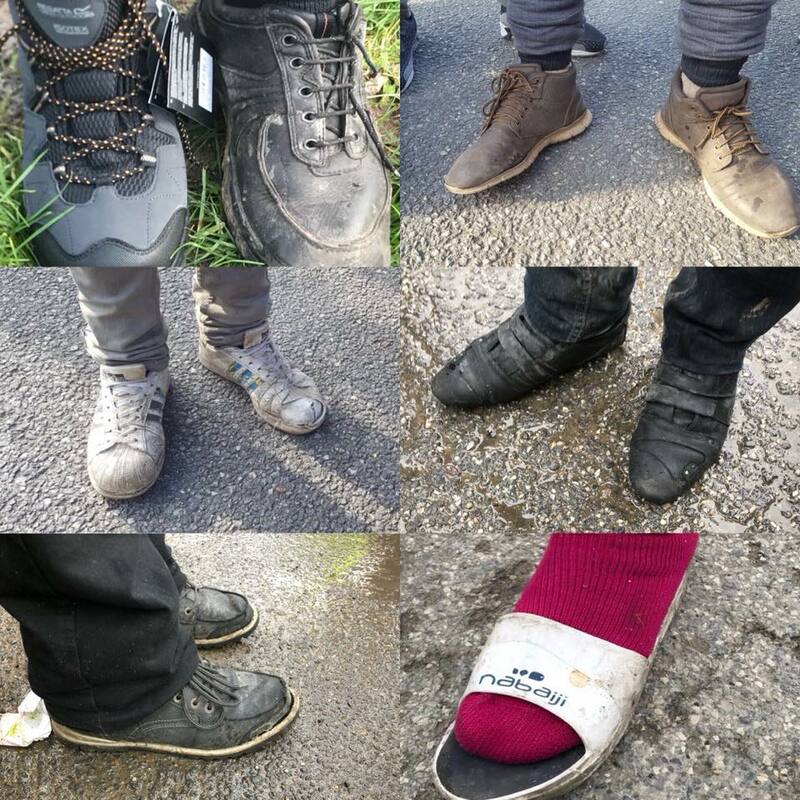 Over the last two weeks we have distributed around 150 pairs of waterproof walking boots. A vital job – but made painful because we are very low on stock, meaning we have to be extremely careful about who we give them to. Decent shoes are the prize possession of many refugees. They live outdoors, they walk long distances every day, and having a sturdy pair of shoes makes an incredible difference to their quality of life. They all desperately want good shoes but so many just don’t have them. So how do you choose? One person has a hole in the sole, another has a split down the side. This man has newish canvas shoes but they are useless in the rain. People show you infections they have developed due to having permanently wet feet. It is heartbreaking to say ‘no’ but we just don’t have enough for everyone.